BARKER, EDWARD JOHN, doctor, publisher, and editor; b. 31 Dec. 1799 at Islington (now part of London), England, son of William Barker and Margaret Greenwood; m. first in 1821 Elizabeth Phillips (d. 1859), and they had 13 children; m. secondly 8 May 1868 Ellen Griffiths; d. 27 April 1884 at Barriefield, near Kingston, Ont. Edward John Barker went to South Carolina with his family in 1807. His father died soon after and Barker returned to Norfolk County, England, to attend school. In 1814 he joined the household of a distinguished uncle, John Barker, British consul at Aleppo (Haleb), Syria, before being apprenticed to a surgeon-apothecary in Malta. His service career began when he was appointed surgeon’s mate on hm sloop Racehorse in 1819. Promoted surgeon on the death of his superior, he determined to devote his future to medicine, left the navy, and about two years later received his degree in London. He practised for ten years in the London district of East Smithfield before deciding to emigrate to Upper Canada. The Barkers arrived in Kingston in December 1832. His skill and kindliness as a physician attracted popular support in Kingston, but Barker had developed a keen interest in journalism and he soon became editor of the moderate reform Kingston Spectator, which first appeared on 15 Jan. 1833. The following year he published the first issue of his own semi-weekly British Whig. This new venture required considerable courage. Kingston, with a population under 4,000, already supported three newspapers and although Barker’s dedication to the British connection was well known and generally approved, his reform sympathies were not popular in what was still very much the conservative “King’s Town.” Nonetheless his vigorous editorials, his coverage of both domestic and foreign news, and his support of agricultural and mercantile interests initially won him many readers in Upper Canada. The rebellion of 1837, however, not only threatened the future of the Whig but changed the political philosophy of its owner. His paper was boycotted, his press was wrecked, and he was physically assaulted. He refused to bow to intimidation, but could not condone armed rebellion, and early in 1838 transformed the Whig into a Conservative organ. The paper prospered in its new role, and during the years 1841–44, with Kingston the capital of Canada, it was known for its extensive reporting of parliamentary affairs. When the capital moved to Montreal the Whig was too securely established to be seriously affected. Barker’s special problems during the next two years seem to have been attacks from local rivals. In September 1845 the Chronicle & Gazette published a public apology to him to avoid a libel suit. In 1846 he successfully sued Dr John Stewart*, who had founded the Argus for the express purpose of “dissecting” Barker. 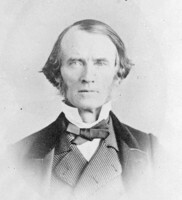 His relations with other Canadian editors were normally cordial, yet when delegates gathered in Kingston in September 1859 to found an association “to promote the influence of the Press as a factor in the welfare of the State,” he avowed that he could see no real value in the project although he would certainly not “throw cold water on the scheme at the proper time for action.” In the event he became a founding-member of the Canadian Press Association, but later paid it scant attention. Not long after launching the Whig Dr Barker had founded a job-printing establishment, the Atheneum Press. Its normal business was the production of pamphlets, tracts, commercial “flyers,” and annual reports of local associations. At the Atheneum Barker printed the journals of the Legislative Assembly for 1843 on a one-year contract. He was also attracted to book-publishing; the first venture was probably The military catechism . . . by John Sidney Doyle, published in 1838. In May 1846 he launched his most ambitious venture, Barker’s Canadian Monthly Magazine, which he intended to be conservative in tone but politically independent and entirely non-sectarian. Each issue featured an epitome of the history of the month, articles on Canadian agriculture and commerce, and “original tales, essays, and poems – as far as possible from native talent.” The magazine achieved critical acclaim but failed in a market dominated by cheap American pirated editions of British periodicals. The last issue appeared in April 1847. The failure brought Barker close to bankruptcy, but he was resourceful and on 1 Jan. 1849 in a bold venture the Whig became a daily, the first successful daily in Upper Canada; 13 years later a weekly edition was added to what was henceforth one of the most influential newspapers in Canada. Although himself cultured and kindly, Barker was also as an editor decidedly opinionated, consistently opposing the Liberal party, annexationists, religious extremists, and the proponents of total abstinence, and holding strong opinions on the conduct proper for the officers of the British garrison and other public figures. He used sarcasm and ridicule with devastating skill – often unjustly. He was, however, quick to apologize for errors and generous with praise. This combination of praise, attack, and retreat made the Whig all but irresistible reading. Throughout his active years Barker was influential in the masonic lodge, the St George’s Society, the mechanics’ institute, and the Frontenac County agricultural and horticultural societies. He was also a founder of St Mark’s (Anglican) Church, Barriefield. Although he never formally practised medicine after 1834 he was a forceful crusader for public health and sanitation. His prime interest, however, was the development of Kingston, nowhere more evident than in the columns entitled the “Spring walk of the British Whig,” published annually for years as a chronicle of local developments. Dismayed by the coming of the railway, which effectively sealed the ruin of Kingston’s lucrative forwarding business, and by the withdrawal of the imperial garrison in 1870, worth approximately £100,000 annually to the community, he nevertheless did not lose faith in the city’s future. He also campaigned vigorously for the development of Kingston’s hinterland. The subject had engaged his attention as early as the summer of 1834, when he published a series of articles about his travels on the Rideau Canal which he also issued as a pamphlet. Barker was devoted to music and the theatre and his reviews stimulated public support for both amateur and professional performance. He persistently chided the city for its lack of a proper theatre and a suitable concert hall. He had delivered public lectures on vocal music in 1834, and in 1836 the Whig printed his one-act operetta, The bridegroom. For 30 years few public dinners in Kingston were not enlivened by his fine baritone voice which was his real claim to musical distinction, serious but also convivial. In early autumn 1871 Dr Barker’s monopoly of Conservative press and printing patronage in Kingston was challenged by younger, more partisan Conservatives who had purchased the Daily News. 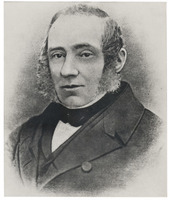 After some negotiation, Barker announced in October that he would relinquish control of the Whig to his grandson and long-time aide, Edward John Barker Pense, on 31 December. In mid December John Sandfield Macdonald* gave Dr Barker an appointment as registrar of Kingston, a patronage post he held until his death. When Pense assumed control of the paper as 1872 began, an era in political journalism ended; henceforth the Whig became an organ of the Liberal party and the Daily News represented Conservative interests. Edward John Barker, a man of complex and fascinating character, had been a respected citizen and patriot and a great editor. E. J. Barker was the author of Observations on the Rideau Canal (Kingston, [Ont. ], 1834), and published Barker’s Canadian Monthly Magazine (Kingston), 1846–47. Daily British Whig, 1834–71; April 1884. A history of Canadian journalism . . . (2v., Toronto, 1908–59; v.2 by W. A. Craick). H. P. Gundy, “Publishing and bookselling in Kingston since 1810,” Historic Kingston, 10 (1962): 22–36. Donald Swainson, “Alexander Campbell: general manager of the Conservative party (eastern Ontario section),” Historic Kingston, 17 (1969): 78–92. Whig-Standard (Kingston), 14 Jan. 1949. John W. Spurr, “BARKER, EDWARD JOHN,” in Dictionary of Canadian Biography, vol. 11, University of Toronto/Université Laval, 2003–, accessed April 21, 2019, http://www.biographi.ca/en/bio/barker_edward_john_11E.html.